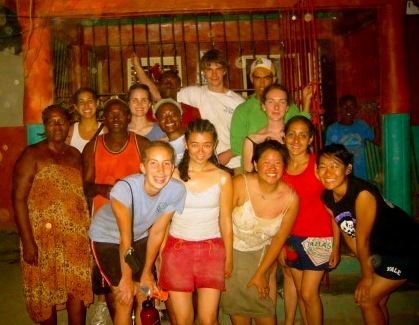 In March 2005, a group of Yale undergraduate students traveled to Batey Libertad for a week-long service-learning trip. Upon their return, the students formed Yspaniola as an on-campus student organization focused on fostering Yale students' connection with the island of Hispaniola and supporting the community of Batey Libertad. During its first few years as a student organization, Yspaniola raised funds for community-development projects, including construction of a Women's Center, and collaborated with local women's groups to make and sell handicrafts such as candles and jewelry. 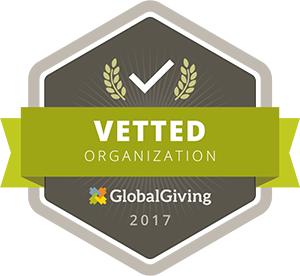 In 2009, the Yale students and alumni involved with Yspaniola as a student group incorporated Yspaniola as a 501(c)(3) nonprofit organization to support Batey Libertad in a more structured and sustainable way. With this transition, Yspaniola began a continuing conversation with community members, nonprofit organizations, researchers, academics, and others to determine how the organization could best serve marginalized communities of Dominicans and Haitians like Batey Libertad. Those conversations lead to the conclusion that access to political and economic capital depends on access to high-quality education—through university—so residents of Batey Libertad can graduate college, find employment outside of non-contracted agricultural work, support themselves and their families, and advocate for their community. With the support of Batey Libertad, Yspaniola founded the University Scholarship Program in 2011 to offer talented and motivated students from the community the opportunity to pursue higher education. In 2013, Yspaniola expanded its educational programs by opening the Learning Center, which currently provides classes that focus on literacy and critical thinking skills to over 150 children, who also receive a meal before each class. As Yspaniola has grown, we've expanded our other programs as well, hosting service-learning trips and interns from dozens of high schools, colleges, and universities, and launching a yearly summer camp that gives scores of young adults from the community professional experience and training to work with youth. We are looking forward to building on our base of programs and working with Batey Libertad to provide more educational programming, specifically pre-school, high school, and expanded university scholarship programs, in the near future. Reflecting Yspaniola's origin as a Yale student organization, our name began as a Yale-inflected alternative spelling for Hispaniola, the island that the Dominican Republic and Haiti share. Today, Yspaniola hosts service-learning trips from many different universities, and its leadership, employees, and volunteers comprise a diverse group of talented Dominicans, Haitians, Americans, Mexicans, and more. As we have grown, the Y in our name has come to stand for more than Yale. To us it recalls the Spanish word "y" (and), a simple conjunction, but one that represents cooperation and collaboration, the bringing together of Dominicans and Haitians and others with the shared goal of improving lives and communities through education.